This kickoff took place on highly competitive Giving Tuesday. 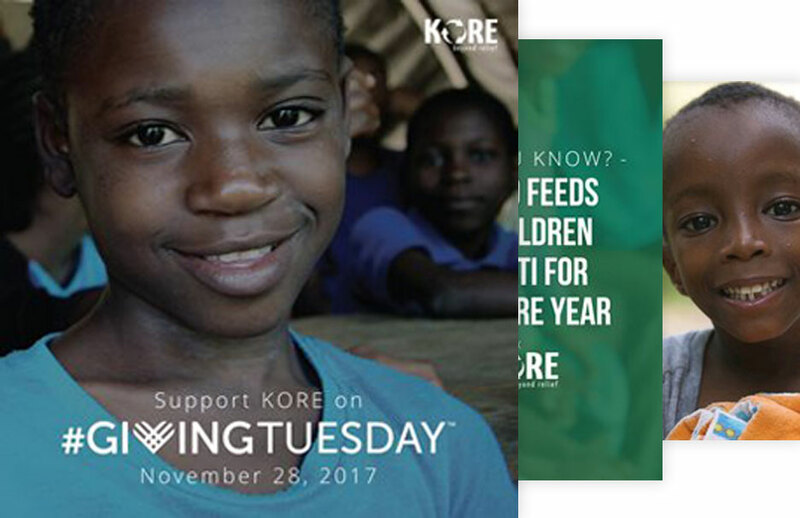 Giving Tuesday is an excellent opportunity for nonprofits… ALL nonprofits. This means that social media feeds, email inboxes, and other marketing channels are flooded with organizations worthy of donations. 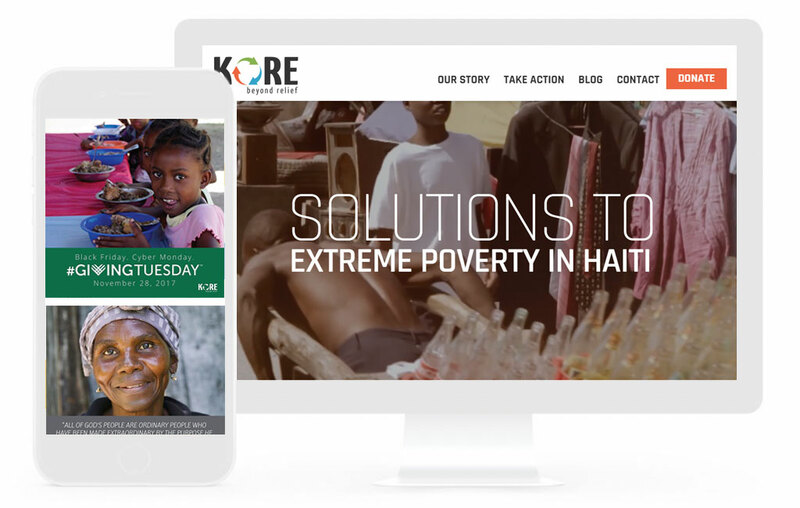 Messaging and graphics for KORE Foundation had to be attention-getting and compelling, especially since this campaign was solely digital.